Sarah grew up in Grand Rapids, Minnesota. 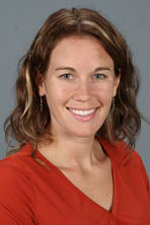 She attended St. Olaf College and completed her dental education at the University of Minnesota in 2003. She chose the University of Minnesota for her orthodontic specialty program, graduating in 2005, and has been practicing in the Twin Cities area ever since. She regularly attends orthodontic and dental conventions and seminars. Dr. Sarah has active memberships in the American Association of Orthodontists, American Dental Association, Minnesota Association of Orthodontists, and Minnesota Dental Association. 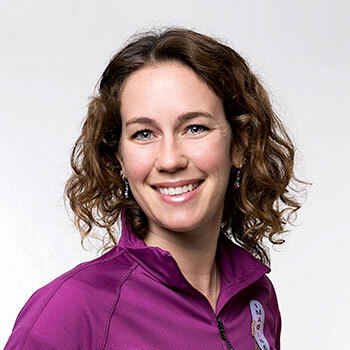 Dr. Sarah enjoys spending time outdoors with her husband Eric and their dogs. She’s a runner, and has completed a handful of marathons over the past four years. She loves hiking, camping, and traveling. She enjoys skiing (alpine and Nordic), having competed in high school, and recently became a cross-country skier. She also returned to the golf course, mostly enjoying fast-paced nine-hole rounds. Dr. Sarah possesses a passion for helping her patients achieve that perfect combination of long-lasting dental health and a dazzling smile.